North Korea has lost one of its biggest trading partners after India banned most dealings with the country. The Indian government announced last week it is halting all trade, except for food and medicine, as tension mounts on the Korean peninsula and the U.S. administration urges more global action to isolate Pyongyang. The ban came into force in April. It brings India into line with United Nations sanctions on North Korea. The U.N. Security Council has been trying for more than a decade to stifle North Korea's nuclear weapons program by imposing harsh economic sanctions. 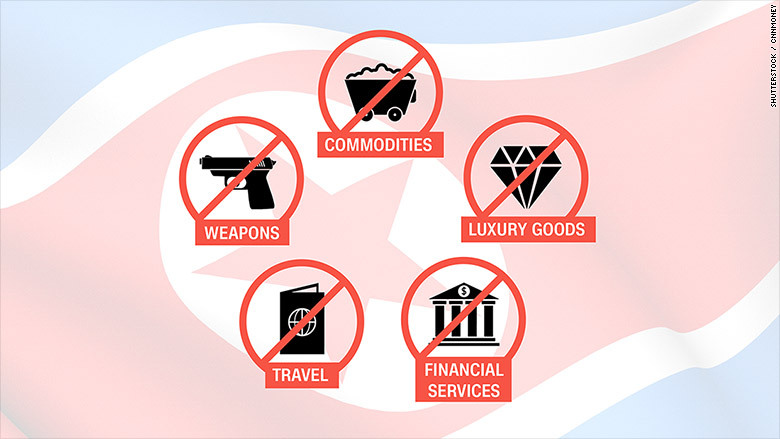 Most Western countries had ceased to trade with North Korea. India was, until recently, its third biggest trading partner after China and Saudi Arabia -- according to data from the International Monetary Fund. India exported $111 million worth of goods in 2015-2016 to North Korea, and imported about $88 million, according to Indian government data. India has maintained diplomatic relations with Pyongyang, and the decree banning trade is the first time India has officially published an order saying it will comply fully with U.N. sanctions resolutions. In 2015, India abstained from a vote on a U.N. resolution condemning human rights abuses committed by the North Korean regime. That same year, the government hosted the North Korean foreign minister for a rare official visit. India has also in the past allowed North Korean nationals to visit India for training. As part of the new ban, all military, police, scientific and technical is barred. India said it will also freeze all funds and financial assets held on its territory by the North Korean government. North Korea's biggest source of foreign currency is believed to come from the millions of tons of coal it sells to China every year. They accounted for about a third of official exports in 2015.